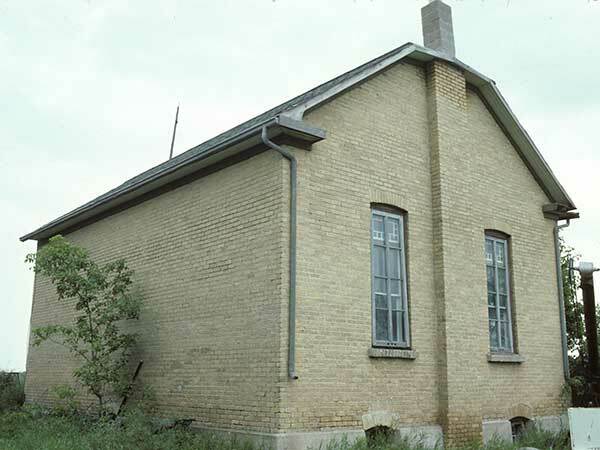 The Copperfield School District was organized in November 1886 and a school building on the southeast corner of NE29-3-11W in the Rural Municipality of Louise. The original building was replaced in 1912 by a one-storey brick structure. 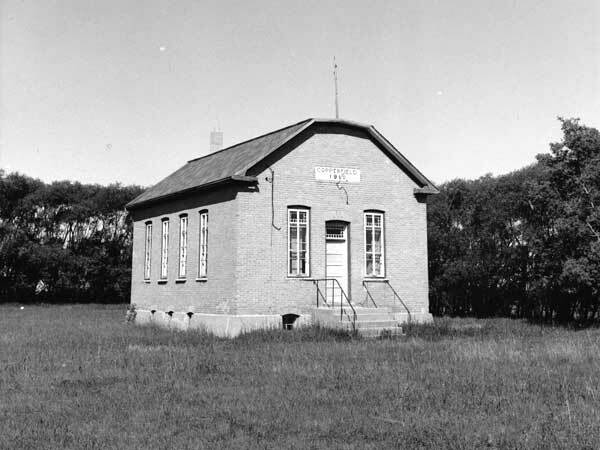 The school closed in June 1964 and and henceforth students from this area went to Pilot Mound Consolidated School No. 105. Its district was dissolved in 1967. The original school building stood at the site until 2012 when it was demolished. Among the teachers of Copperfield School were Miss Mary Barbour (1887), Mr. Cranston, Kellog Connoly, John Graham, Henry Irvine, Miss Barbara Irvine (1895-1904), Miss F. Balfour (1904-1905), Maud Little, Bessie Perfect, Alice Potter, Fred Balfour, Mary Gemmill, Clara Beatrice McQuarrie (1929-1933), Pearl Brisbin, Lena Adams, Jessie Cooper, Lillian Travees (Hallonquist), Milford Preston, Alice Sharpe, Maud Morrow, Ellean Casselman, Cora Legacy, Ruth Elsey, and Mrs. Howard Johnston. 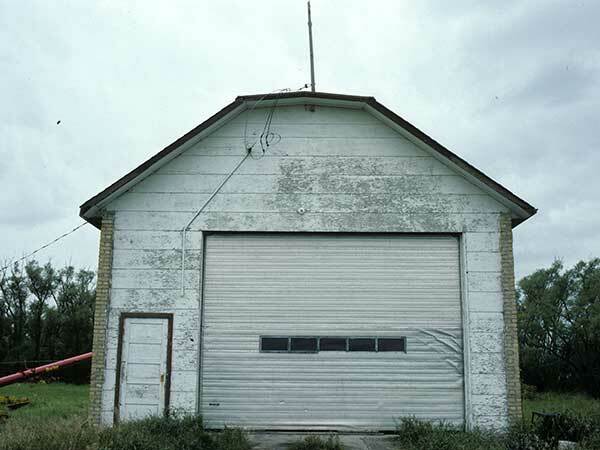 Source: Archives of Manitoba, Architectural Survey, Pilot Mound District. Source: Historic Resources Branch, Public School Buildings Inventory, slide 622. Source: Historic Resources Branch, Public School Buildings Inventory, slide 620.